SCN: What is your position and what does it entail? 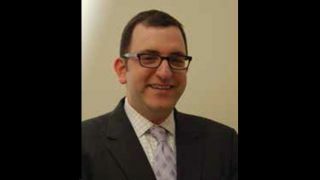 Ari Fuchs: I am a director with The DAK Group, a middle-market focused investment banking firm. I work directly with middle-market business owners, particularly those in the integration industry, in helping them leverage mergers and acquisitions to build value in their businesses. That might mean advising business owners on using acquisitions as a means to acquire a new product line or service line or even access a new geography. I also work directly with business owners on generating liquidity from the sale of all or a portion of their business by running a strategic process that garners the highest possible value for their enterprise. SCN: How would you describe your relationship with the commercial integration business? AF: I’ve always had a deep interest in technology, particularly AV and IT, and have been fortunate to have worked on several corporate finance-related assignments for businesses in the industry. The intersection between corporate finance, AV and IT led me to the commercial integration market. Having completed several M&A advisory assignments for commercial integrators, I knew that my integrator clients stood to gain the most from the combination of my experience, skills, and interests. I am excited to come into work every day because I love what I do. SCN: What confluence of factors has been driving the commercial AV integration business’ uptick in M&A activity that we’ve witnessed in the past year or so? AF: The rise in M&A activity in the integration industry is being driven by a number of factors, the principal of which is industry consolidation. The industry is highly fragmented with approximately 5,000 providers representing nearly $17 billion in revenue according to a recent InfoComm study. In addition, integrators continue to use acquisitions as a means to build value for their customers, shareholders, and employees. Acquisitions can add complementary services; professional depth and experience in new vertical endmarkets, and also to expand geographic scale. SCN: In addition to strategic buyers, there have been several M&A transactions involving private equity firms. In your view, what is driving private equity interest in the systems integration sector? AF: Private equity firms seek to grow and build value in their portfolio companies by engaging in performance improvement initiatives and add-on acquisitions. The integration industry is attractive to private equity as it is undergoing a transformation of sorts. Key industry trends such as rapid innovation in technology, shorter enterprise refresh cycles, and the rise of managed service offerings (and associated recurring revenue streams) are transforming the integration sector into a growing, higher-margin industry that is becoming increasingly attractive to private equity. In addition, the fragmented nature of the marketplace affords private equity firms the opportunity to build a platform to “rollup” the industry. These value creation techniques are at the core of private equity’s value creation strategy. SCN: What does the flurry of M&A activity mean for lifelong AV industry business owners veterans? What about for mid-life executives and the younger generation of the industry? AF: The flurry of M&A activity presents tremendous opportunity for business owners. Overall, the level of activity is indicative of the positive direction the industry is moving in. This bodes well for life-long owners should they elect to either sell or transition their business to the next generation. The combination of strategic buyer interest and substantial private equity dry powder suggest that there will be a stable supply of buyers. That said, it is becoming increasingly critical for business owners to remain ahead of the evolution curve in order to preserve (and enhance) enterprise value. That means taking the necessary steps to prepare their business for sale. It is never too early to address areas such as customer/ vendor concentration, securing key employees with non-compete agreements, and optimizing working capital, as these all areas business owners can zero in on to safeguard and build enterprise value. SCN: How do you foresee these trends evolving in the near and long term? AF: There is no doubt that 2016 was a banner year for M&A in the integration industry. The momentum is already carrying over into 2017, and I believe that current industry and macroeconomic factors will support the trend at least into early 2018. There is a lot of chatter among integrators as a result of some of the high-profile transactions that occurred in 2016. As a result, integrators are re-evaluating their strategies to determine whether now may be the right time to begin positioning their business for sale or to use acquisitions to grow their business and build shareholder value.